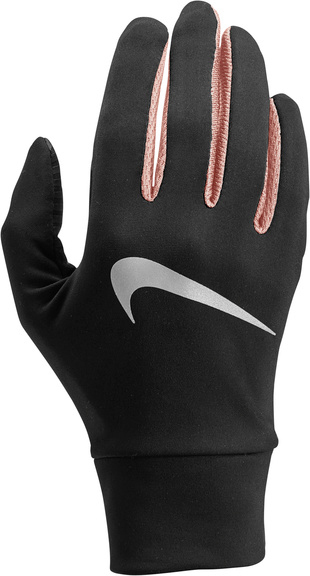 Nike Dry Lightweight Tech Running Gloves A must-have running glove for those on the go. Dri-FIT fabric, the Nike Dry Lightweight Tech Running Gloves keep you comfortable on the run. Enriched with Dri-FIT technology, these dry lightweight gloves wick moisture away from the skin for quick evaporation, so you stay dry and comfortable on longer distance days. The dry lightweight fleece fabric works to keep you warm when the temperature dips and ensures a comfortable heat build up when you're pushing up the miles. 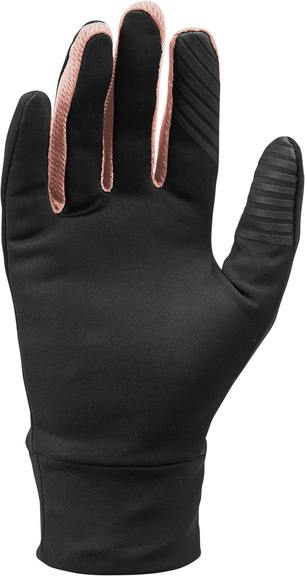 A touchscreen compatible silicone grip pattern on the forefinger and thumb allow you to use your phone whilst still wearing the gloves, skip a song or fire off a text. The Nike dry Lightweight tech gloves provides warmth without bulk, and are always on hand for those brisk morning or evening runs.